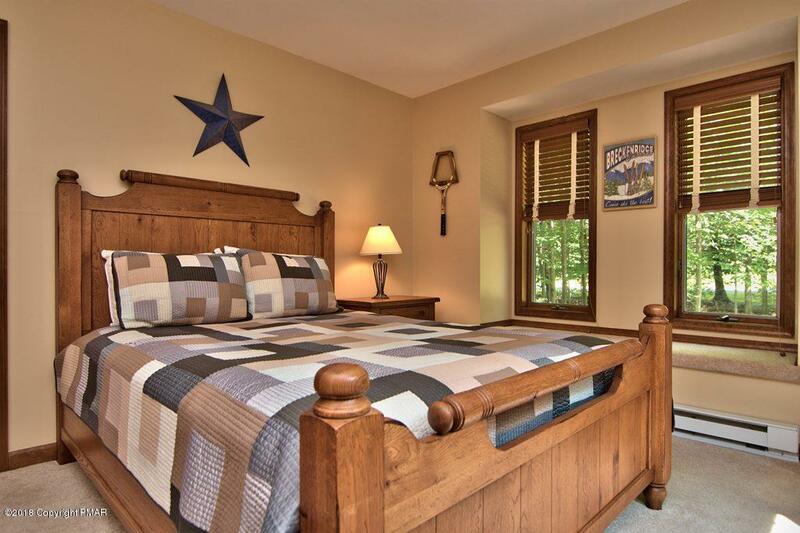 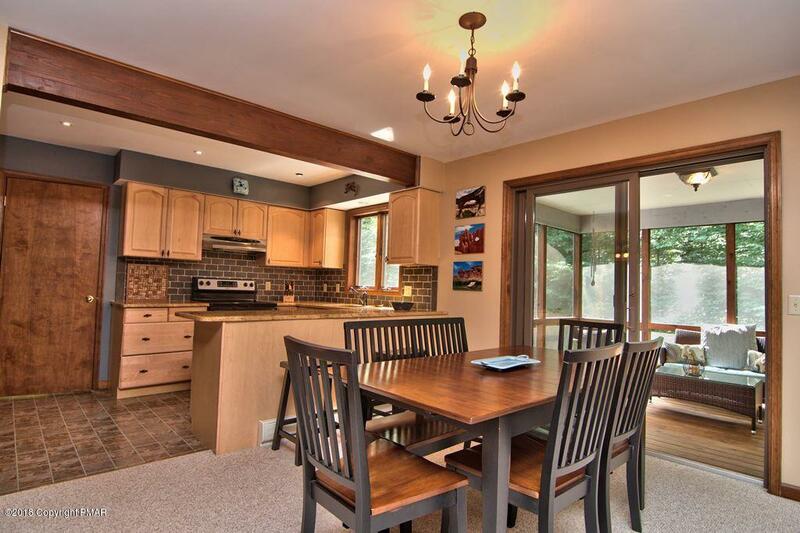 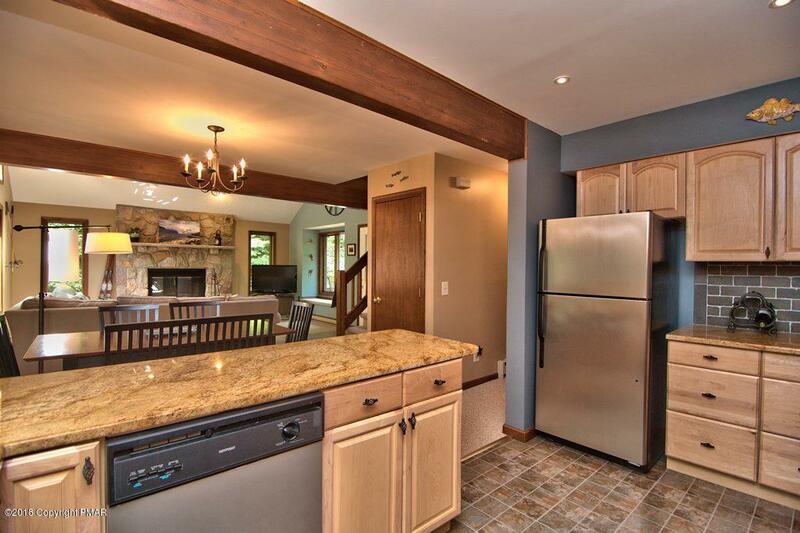 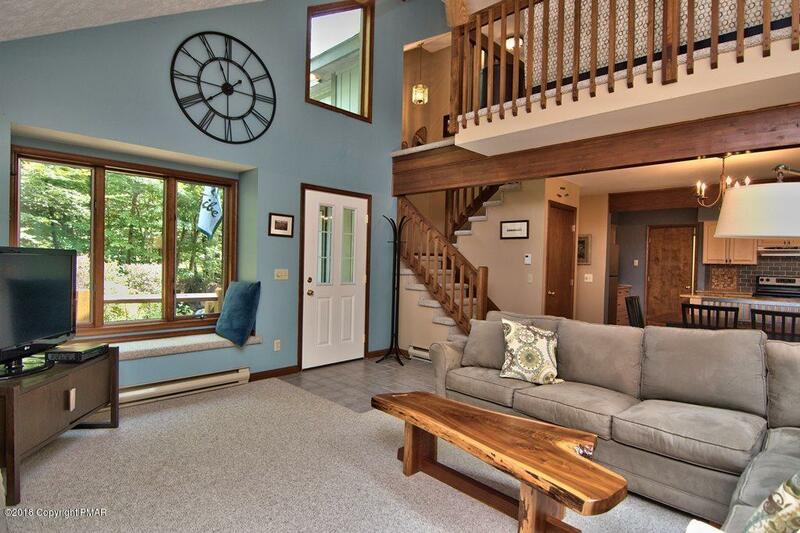 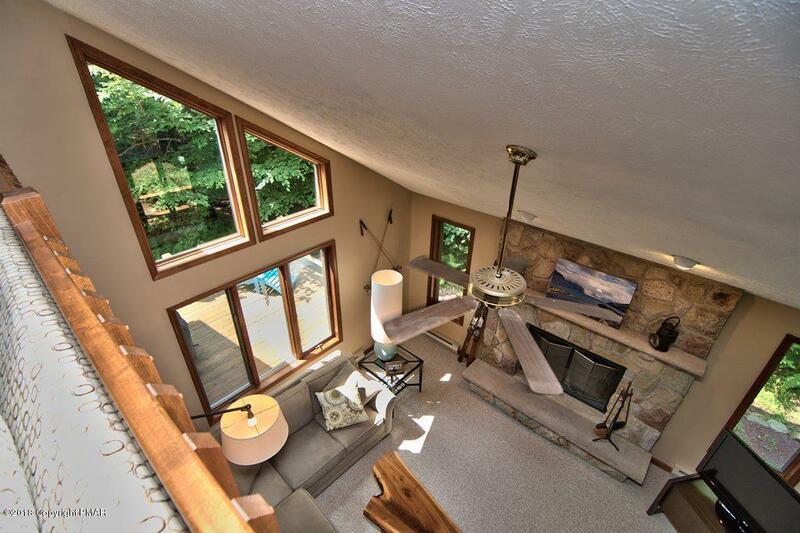 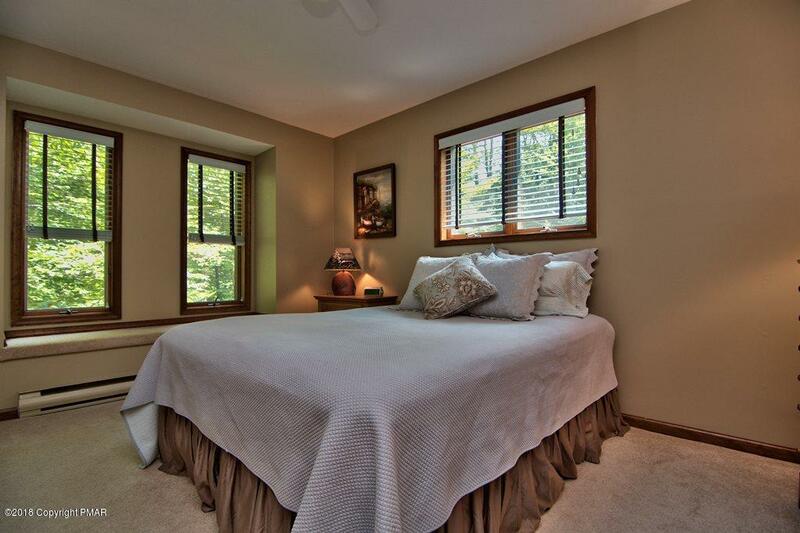 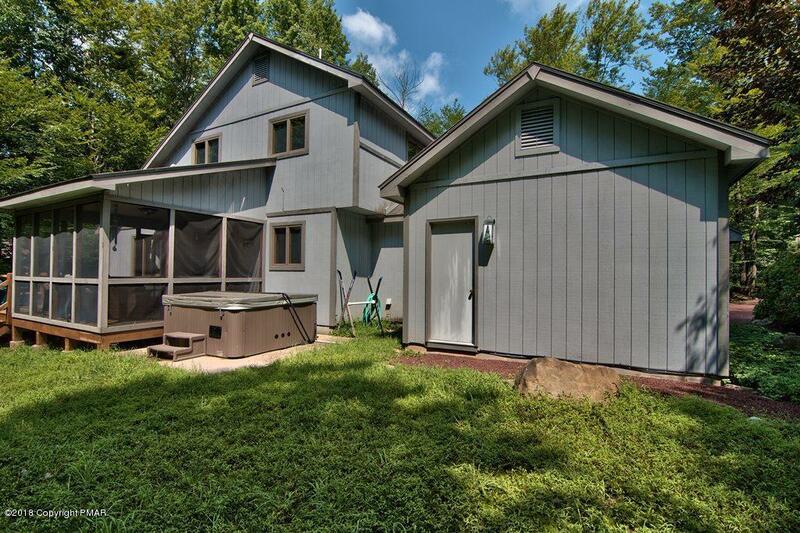 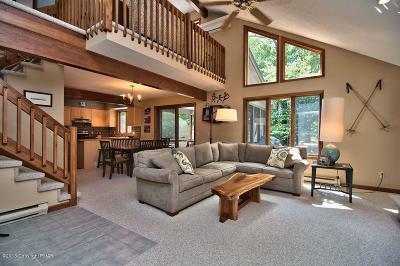 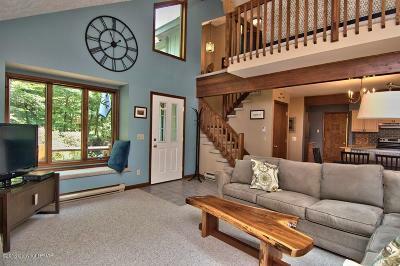 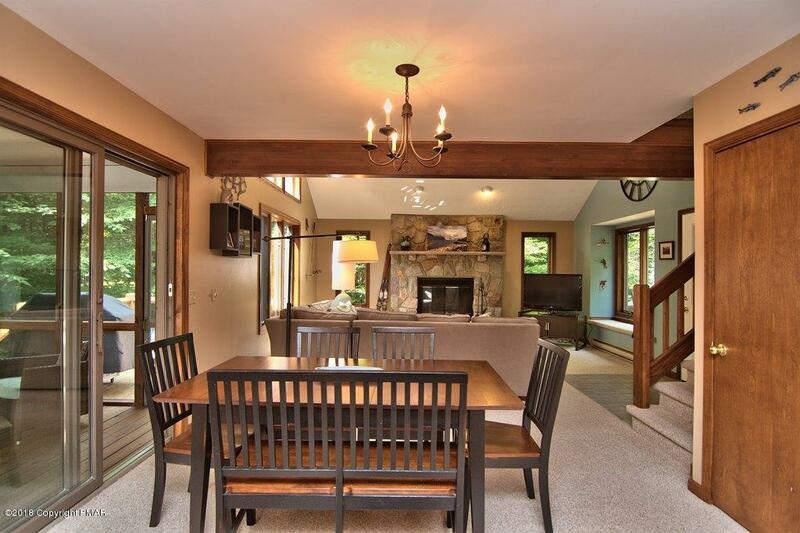 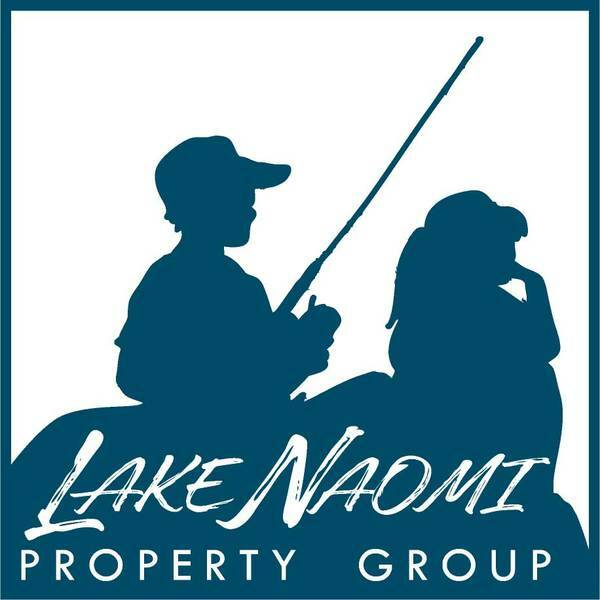 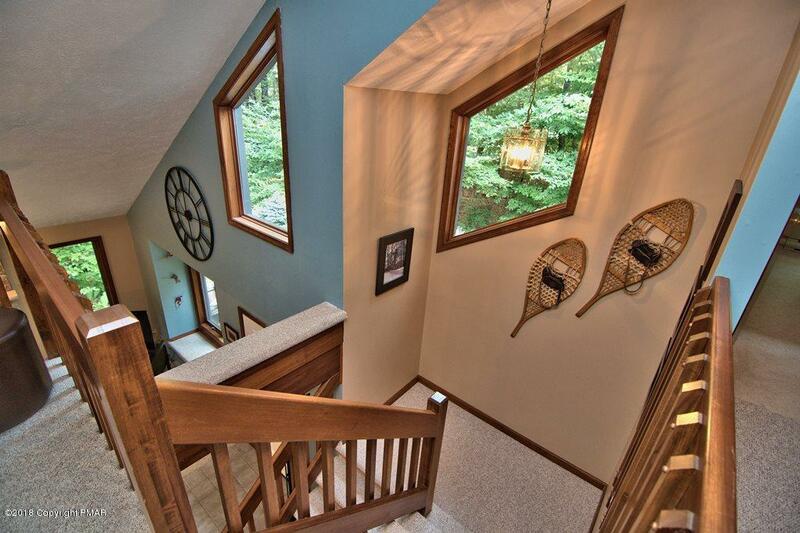 2124 Blue Ox Rd, Timber Trails Truly Radiates the Splendor of Tranquility. 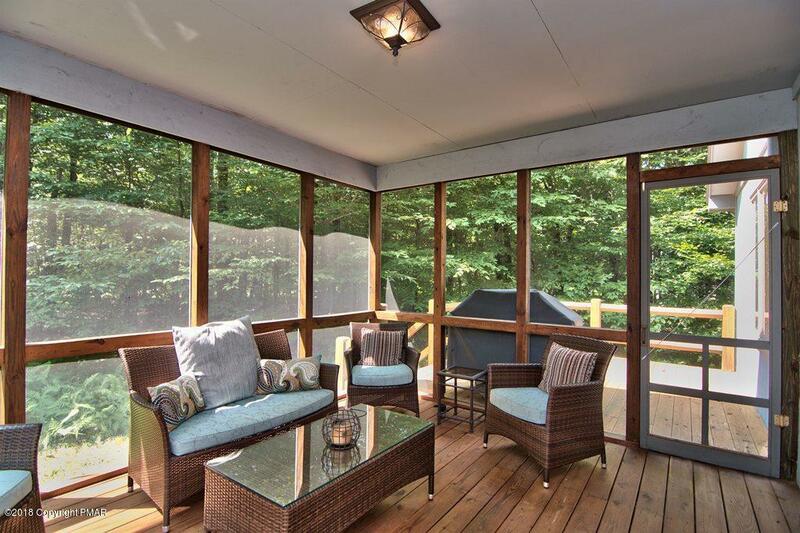 Perfectly Designed to Accentuate Premium Wooded Privacy from its Open, Appealing Interior with Generous, Sparkling Glass. 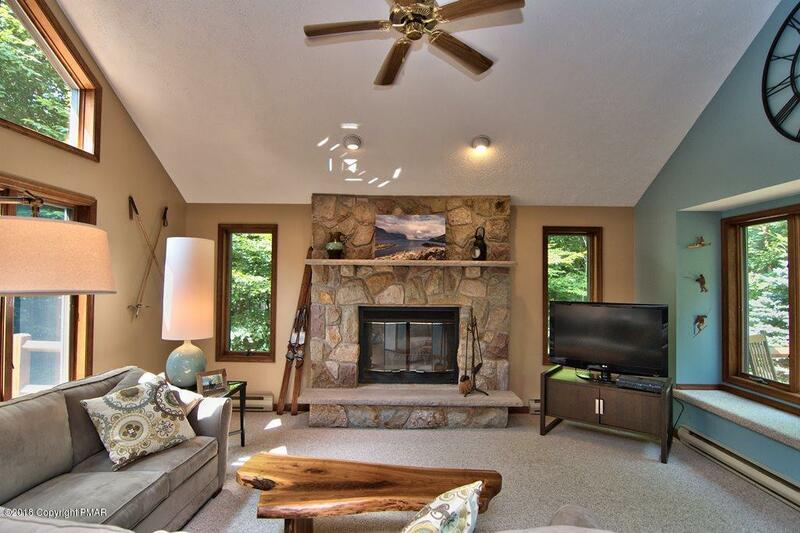 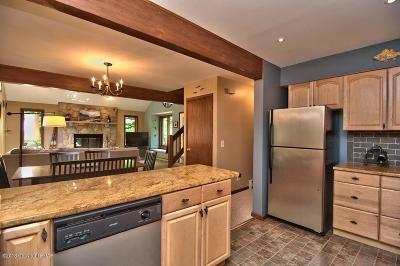 Relaxed and Comfortable Living with Stone Woodburning Fireplace, Enchanting Window Seats, Custom Paint and Lighting Blend to the Tasteful Kitchen with Granite and Stainless Appliances. 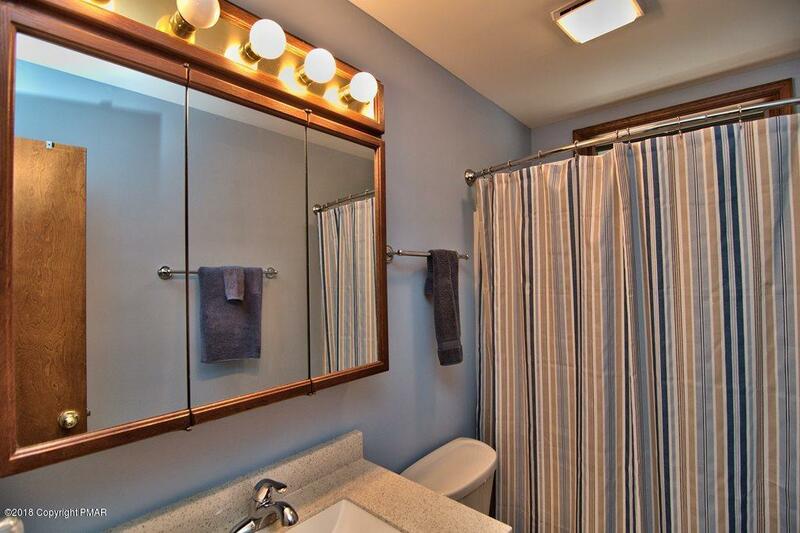 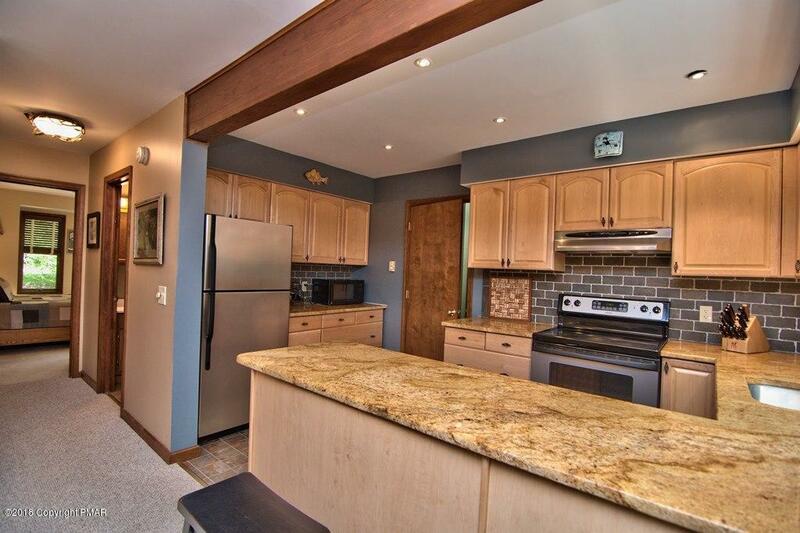 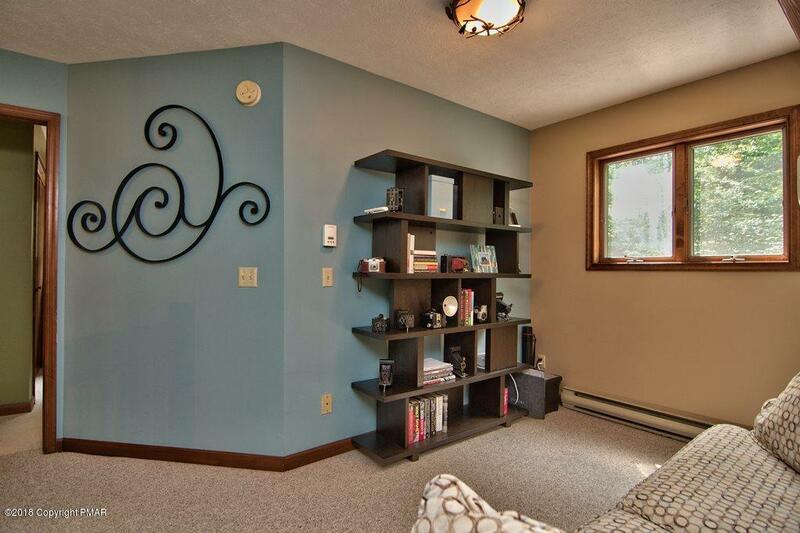 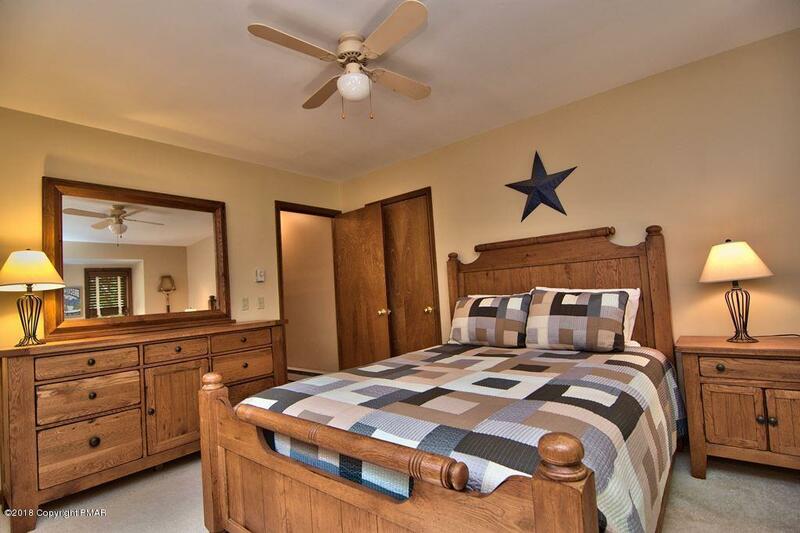 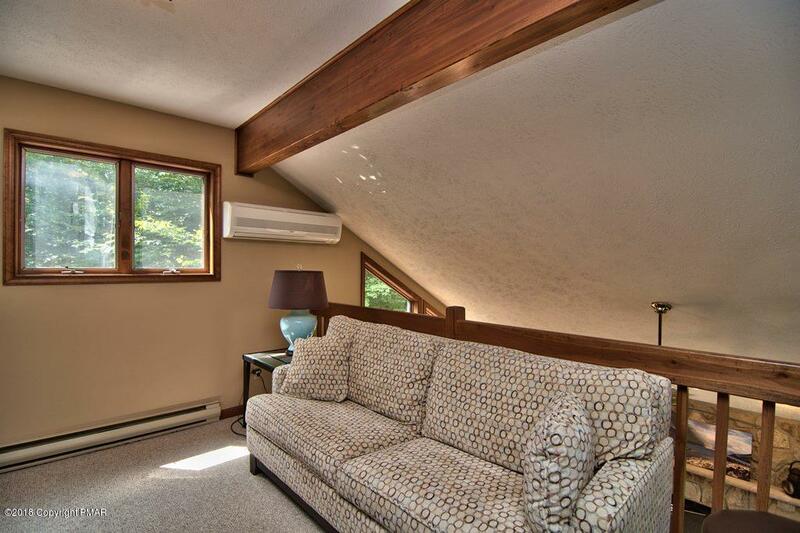 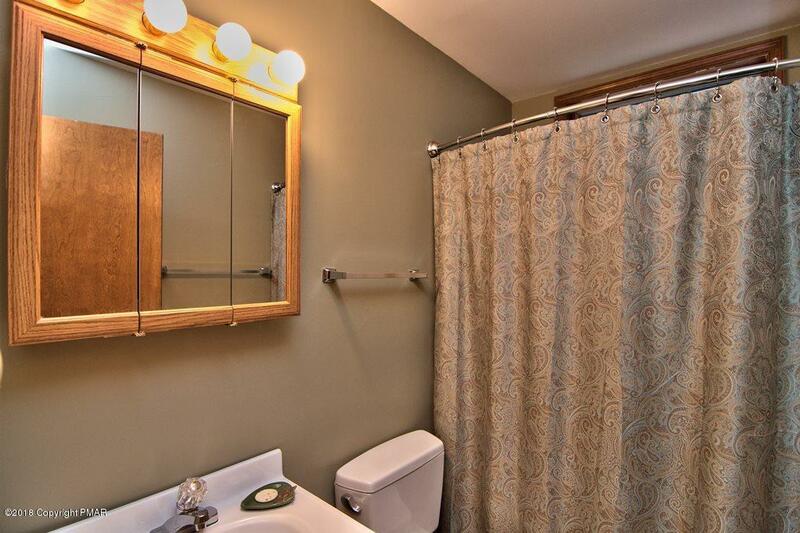 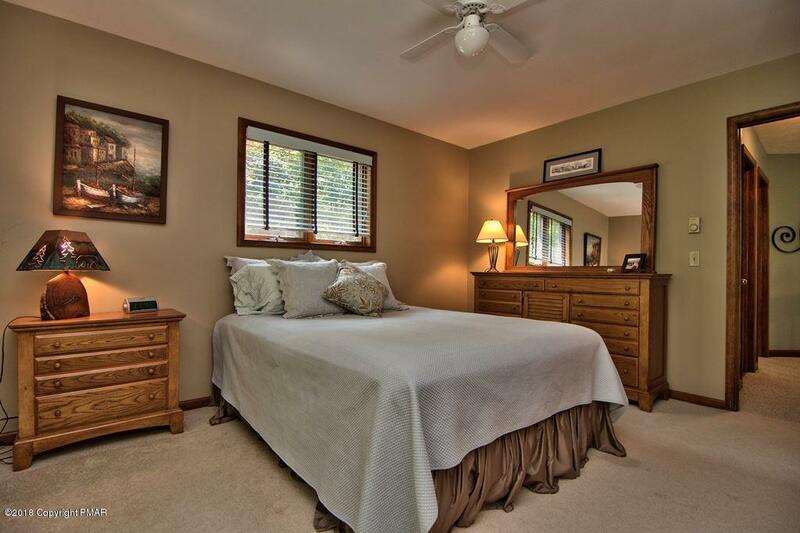 Pristine and Well Loved with 3 Spacious Bedrooms, Loft and 2 Baths. 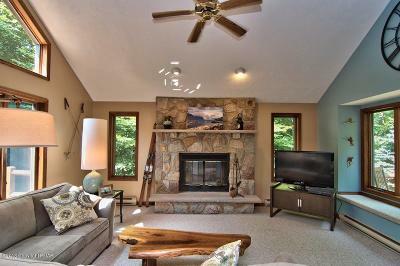 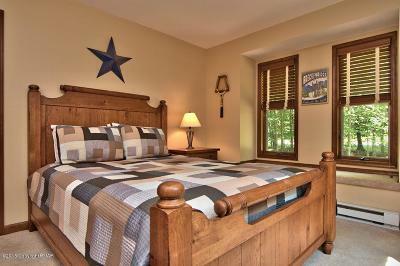 Warmly Decorated and Furnished to the Pleasures of a Mountain Lifestyle. 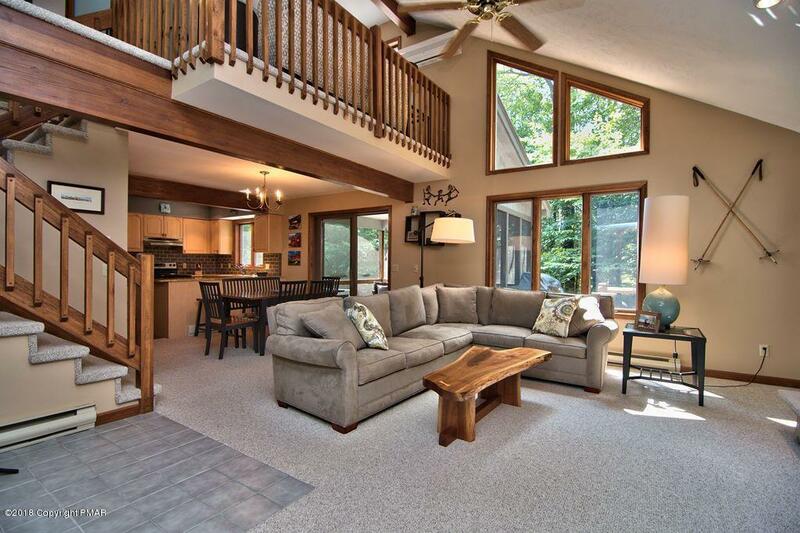 Enjoy Added Hours of Peaceful Relaxation in the Sensational Hot Tub and Private Screened Porch. 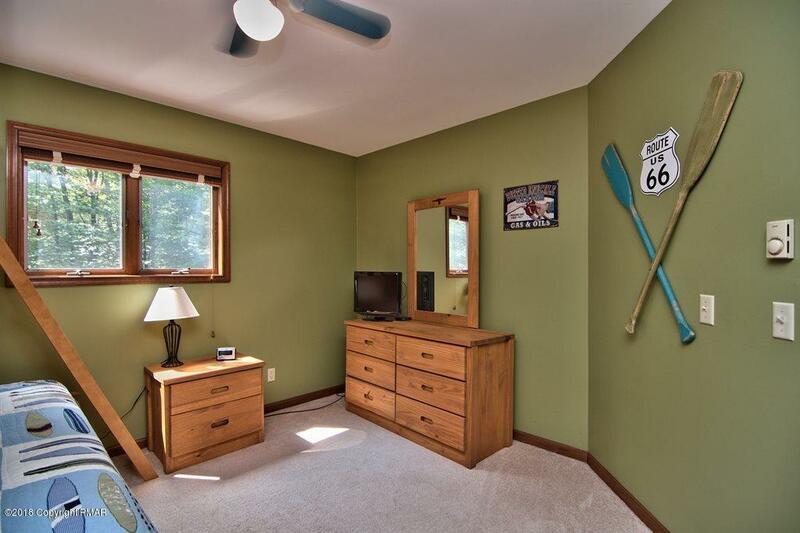 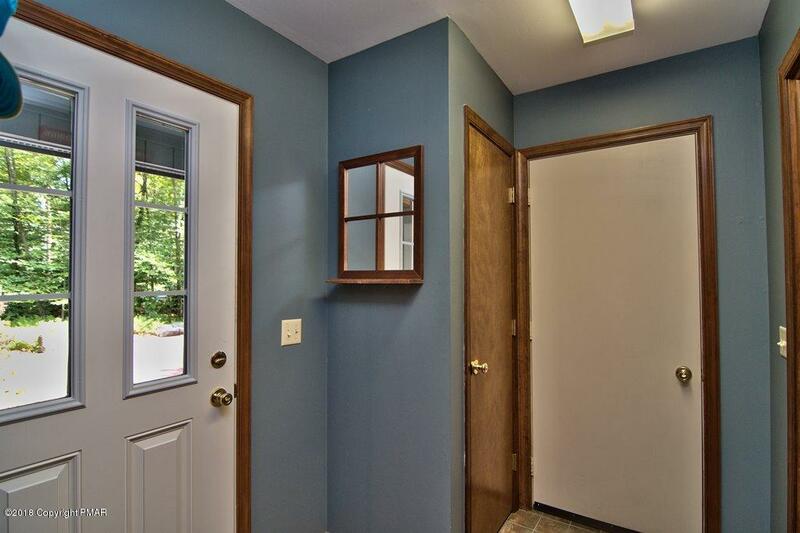 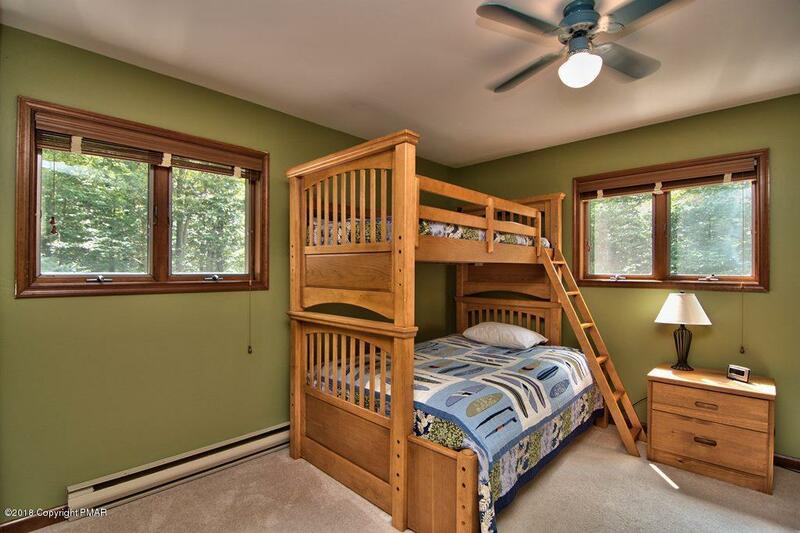 Added Highlights Include a Convenient, Outside Laundry Entrance with Storage Closet, Wall A/C and Garage. 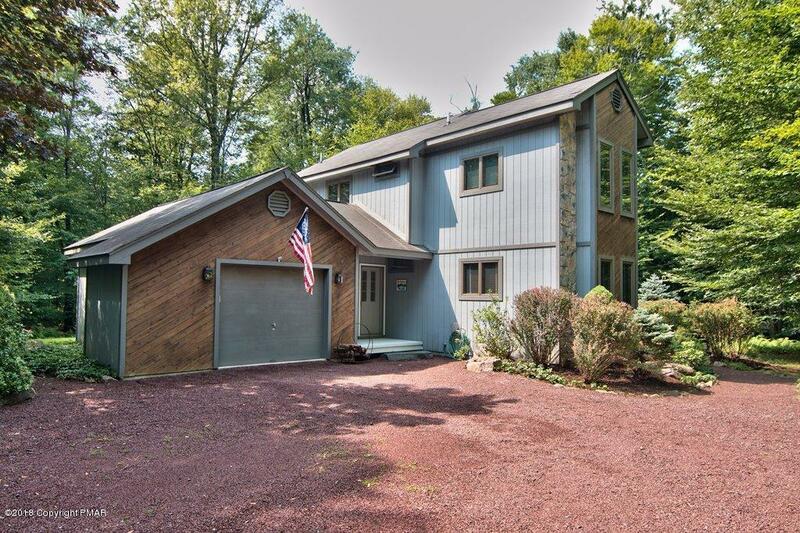 Come See, Turn Key Quality and the Best of Year Round Fun in the Poconos!